Why the Police should be a Mickey Mouse outfit ! 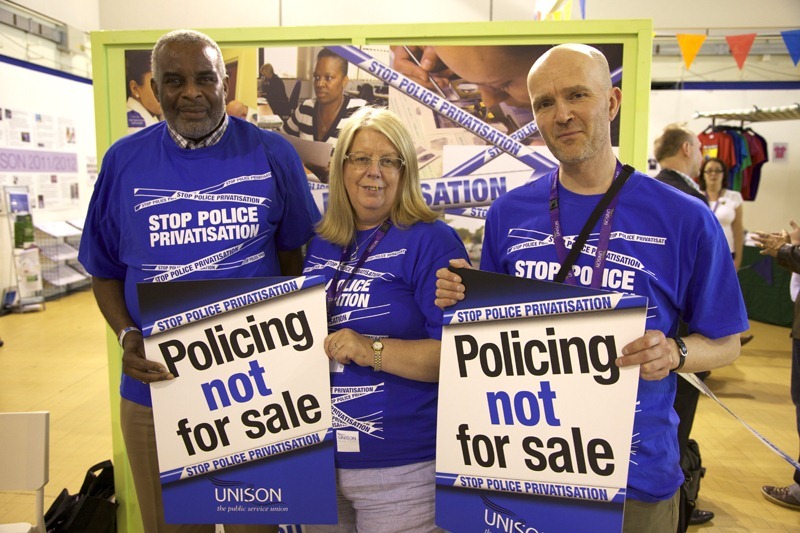 There’s an awful lot been happening in the wonderful world of policing over the last couple of weeks, and a lot of articles and coverage in the mainstream press over the highly controversial decision by Home Secretary Theresa May to recommend Tom Winsor for the role of HM Inspector of Constabulary. Much as it would be expected that such a decision was designed to appear as a ‘kick in the teeth’ to rank and file officers, I’m sure The Right Honourable Keith Vaz MP and his fellow members of the Home Office Affairs Select Committee were equally as miffed only to hear about the announcement via a telephone call asking for a quote from a journalist at The Guardian newspaper !!! I was out of the UK when the news broke; in France; in Disneyland to be specific. Being the pauper of a Crown employee that I am, mobile internet and data was very firmly turned off on my phone (£1.28 per MB – come on EU, you want to do something useful, sort that out !!!!!! ), but the text messages started coming through en masse, and then I had the phone call from someone to tell me what was happening. As if by magic (or more likely a bit of Pixie dust), at that moment, none other than Mickey Mouse* himself and his entourage walked past our queue, waving and shaking hands with humungous numbers of children and adults alike. The irony of this wasn’t lost on me, and then, to while away the wait to board my shuttle ‘from the Earth to the Moon’ I started to think about it. Would Mickey Mouse as a boss be such a bad thing ? Take a look at Mickey, nearly a hundred years old, not aged at all, and …. 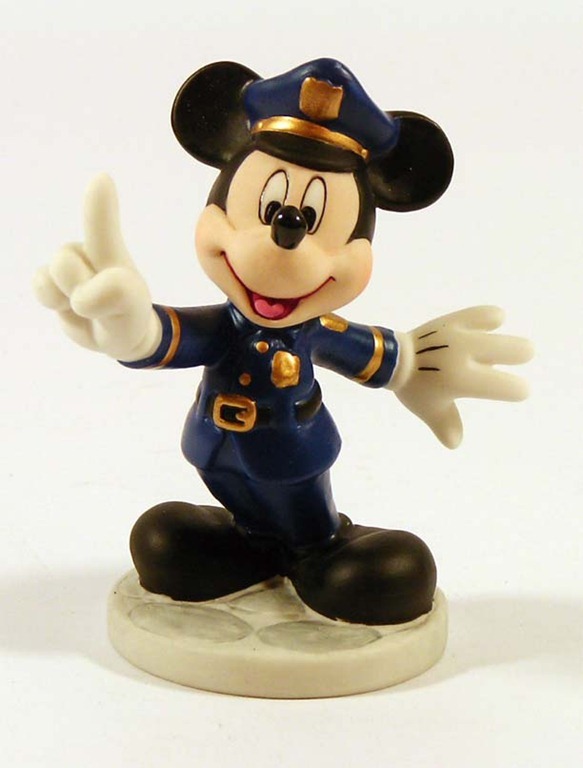 no seriously, think about Mickey and the Disney Company, would they actually make a better job of running the police ? I say they would ! Look at the evidence. From Day One, Walt Disney’s well documented visions and goals were to entertain; to give the public what they wanted – not what he wanted them to have. Okay, it was also to make money; lots and lots of it (and in that respect Disney is somewhat very successful) but the basis of the accumulation of this wealth has always been reading the public will, anticipating the public will, and meeting those needs. Sound familiar ??? The Disney Organisation is a very tightly controlled, disciplined ship – in many ways moreso than the police service is today, which in itself is a tad worrying, but right at the top of their ethos is that of Customer Service. Let me give you just one example of the many observations I made whilst in the Disneyland park. Jessie from Toy Story* was surrounded by a group of small children, all clambering for autographs. After a good twenty minutes, Jessie’s minder announced that they had to leave to get ready for a parade. There were still a number of children waiting for pictures etc, and as Jessie walked away one little girl burst into tears having missed her opportunity to be pictured with possibly her favourite character. Immediately, one of the ‘Cast Members’ as the Park staff are known, came over to explain to the little girl why Jessie had to leave. When this didn’t seem to help console the little girl, the Cast Members’ next response surprised me a little. Off their own back, without having to fill in a million pointless forms, and without having to ask permission from seventeen bosses, he ran off behind the building where Jessie had gone and seconds later returned, beckoned the little girl and a few others over, and when I had a quick nose, saw that he’d called Jessie back and she was now stood, slightly off from public view, but again having pictures taken and signing the remaining autographs. Clearly, despite the size and shape of ‘the organisation’, for right or wrong, the fact that a single employee was able, off their own back, to make a decision which was for the benefit of the very people they were there to serve, and meet those needs, I presume without fear of chastisement or retribution from above, is a shining example of everything that is wrong with the management of the British police service. Can I also point out that all of the equipment, props and vehicles used on the parks are specifically designed and completely fit for purpose – something your average bobby on the beat can only dream about ! On top of that, everyone involved has role specific uniforms which are of a far, far higher quality than anything we are provided with. So …. based on my own experiences and all the available evidence, I can clearly state that the British Police Service would be in a much better place if Mickey Mouse was installed as the next HMIC. With that in mind I have written to the House of The Mouse, suggesting that a change of career for their top guy should be an urgent consideration. On a side note, Disneyland Paris also has a purpose built, highly efficient railway station outside the front door with some of the most advanced, cost effective and fastest rolling stock in Europe bringing people to and from their location. Do you think Mickey had a previous role as a French Rail Regulator ???? * I accept no inference that any character seen within the Disney Parks is actually a human being in fancy dress. Mickey Mouse IS MIckey Mouse, Jessie IS Jessie. Full stop. End of. I’d also like to say it was Paris I went to, not Amsterdam. This article was written after spending horrendous amounts of money in a Disney cafe, not a Dutch coffee shop !!! Video footage and audio clips are a mixture of mine, other marchers, TV news pieces and PolFed commissioned film. Let me know what you think.